Today’s podcast episode is meant as a pre-cursor to the next episode! Each year the Human Rights Campaign puts out their Corporate Equality Index (CEI) which is something I absolutely swear by. This index helps me understand what companies are doing good for the LGBT community and what companies are not. In episode #52 of the podcast I will be doing a recap of the 2015 HRC CEI. But before doing that I wanted to first give you an idea of who the HRC is and what they do through the eyes of one their own – Liz Cooper, manager of the Workplace Project. I hope you enjoy! Would you prefer to read the transcript rather than listen to the episode? No problem! Read the transcript below! 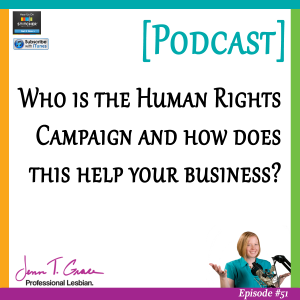 AUDIO TITLE: Episode 51 – Who is the Human Rights Campaign, and How Does this Help your Business? Hello and welcome. Thank you for tuning in to this special Pride Month episode of the Gay Business and Marketing Made Easy Podcast. Information about today’s guest and links mentioned in the show will be available on the website at www.JennTGrace.com/30days-30voices. If you like what you hear in this interview, please be sure to tell a friend. And now, without further ado, let’s dive into the interview. I am delighted to be talking with Liz Cooper today, who is the manager of Corporate Programs for the Workplace Project at the Human Rights Campaign. She is the go-to gal for all things regarding the Corporate Equality Index which does come up a great deal on this podcast. So Liz, I’ve given the listeners just a really high-level highlight of your most recent work, but why don’t you tell the audience a little bit more about yourself and what your path looked like that led you to where you are today. Absolutely, so thanks so much for having me. I’m Liz Cooper as Jenn mentioned, manager at Corporate Programs at the Human Rights Campaign. I’ve been here just about three years now and so for folks who are not familiar with the Human Rights Campaign, we’re the organization that goes along the blue and yellow equal sign. We’re the largest civil rights organization working for LGBT equality in the US and I’ve been with HRC just about three years. And the project that I work on, the Workplace Project, deals with how companies are ensuring the safety, inclusive policies, benefits, protections for their LGBT employees. And as Jenn mentioned, the main mechanism that we measure and evaluate, the status of LGBT equality in the workplace, is through the Corporate Equality Index. So the CEI has been around for over ten years now, and it was really- and not to be too corny but an honor to inherit such a well-established and respected project when I came along on board with the team. So the CEI is a very objective measure of LGBT equality in the workplace. It doesn’t account for employee surveys or their perception of their own personal experience with the company. It really is, ‘Do you have these inclusive policies in place or do you not? Do you have these benefits for your LGBT employees or do you not?’ So it’s a really great objective measure and while it’s also reporting out on the status of LGBT equality in these major US employers, our main focus is for those employers with 500 or more full-time employees; so we’re talking about the big guys. But it’s not just a report out, it’s also a roadmap for folks who might now be scoring that well, might not have the most inclusive policies on the books. But we’re here to help folks get there. We don’t want to shame companies or make them feel bad about not being the best they can be, we really want to be there as a resource for folks to ensure that they can really be best in class. So that’s a bit about the CEI and I’ll also just mention that really the first way I learned about HRC was through our buyer’s guide. So that’s all the same information in the CEI, it’s just a bit less- or a lot less wonky. It’s a small pocket guide that’s really aimed at our members and supporters. This great way to disseminate all this really wonderful, important information in an easy to digest guide where you can glance at your favorite company and see how they score. We color code companies green, yellow, red; green being yes, these folks are doing all the right things. Yellow, room for improvement. Red, lots of room for improvement. And we break up the scores by industry so you can evaluate, ‘Should I get a Coke or a Pepsi? Where should I get my gas?’ So we really try to equip the public with the great information that we have to factor into their buying decisions. Do they want to be supporting someone that’s supportive of LGBT folks or if that’s a priority for them, we want to equip them with all the right information. That sounds fabulous and I actually did a webinar yesterday, and I referred to the buying guide as my bible. And I was joking that I have them absolutely everywhere, and I’m not exaggerating. They’re in my car, my wife’s car, every bag, purse, suitcase, briefcase, you name it I have one of the buying guides somewhere. Well that’s what I like to hear. Yeah and it’s like you said, if you’re going to find a place to purchase gas, and I won’t shame any one particular company but there’s a few that I will run out of gas before I will actually purchase it from them. I may be on the extreme end. No but it’s true, I mean they’re all little buying decisions, big buying decisions, it’s your way to assert what you value; so I support you. Of course, I would hope that you would. And I absolutely love the guide and I am constantly telling other people about the importance of it, so I’m glad that you were able to elaborate a little bit for those who may not understand what it is; so this is fantastic. And I do want to- typically I try to start off the interview on a lighthearted note, and I am dying to hear your answer to this. But what is something that’s random or just a fun fact about yourself that very few people know or would expect. Sure. So I am not a business lady by trade, I actually studies classics; so Greek and Roman, ancient history, culture, architecture. Originally when I started my education I wanted to be an archaeologist. So how I ended up here is anybody’s guess. But that was my calling some years ago. And my other main fact because I do enjoy fooling people sometimes is that I like to pretend that I’m British from time to time. I’ve worked years on perfecting my accent. So that’s my weirdness and history in a nutshell. That is awesome. If you had started off the interview with that accent, nobody would have known the wiser. I know, right? I need to test myself, I need to test the waters. You should, you should throw it in at any random point in the next couple of questions and we’ll see if anyone’s paying attention. Alright, that’s fantastic thank you. So since you did just allude to it’s anyone’s guess how you went from A to B, I am curious if you had some sort of ‘ah-ha’ moment when you realized what you’re doing now is what you should be doing. That’s awesome. That’s such a good story and it seems like a really natural progression. So along those same lines, what inspires you and keeps you motivated to continue doing this every day? It’s kind of those little tangible changes that I can see. I come after my days of wanting to be an archaeologist, I finally finished my education as a political science major and it can be frustrating to work on an issue, I would hear this from my professors all the time. That to work on an issue where you know that you’re the smartest in your field, you have the best advice, but you write a policy paper that nobody ever reads. No one’s taking this good advice into account. And what I’ve been so lucky to experience at HRC and through the Corporate Equality Index, is real tangible change connecting with people who want to work on these issues; and I can work with them for anywhere from a week to two years. And they’re working on specific issues and in some period of time, you see tangible change, you see transgender inclusive benefits implemented. You see sexual orientation added to a non-discrimination policy. You see a company sponsoring a pride in their headquarters’ city. It’s these instances, I can see the ball moving ahead. Is everything fixed and perfect, of course not. But it’s these small moments of someone really did make a difference, even if it’s for one employee. If it’s as big as a policy change or they felt better equipped to have the conversation with an LGBT employee who was bringing up an issue in the workplace. So it’s being able to talk to our constituents who are these companies, these employees, and to hear about the little ways that their workplace is getting better. That’s really interesting, and my next question is what is the best piece of business advice that you’ve been given; but I’m thinking that with the amount of constituents that you do have, you’re probably somebody who’s giving them a lot of advice on how to better improve their programs for their LGBT employees. So if you wouldn’t mind, could you answer it from both angles? You know in the sense of what’s a piece of advice that you give, maybe it’s something that’s a reoccurring theme, that you’re giving to the companies that you’re working with. And then also a piece of advice that you’ve been given yourself. Absolutely, it’s kind of one in the same for me, and it’s kind of a life advice, but definitely applies to the business world, is just showing up. You know, I’d say it’s more than half of life is just showing up. And sometimes you’re opening these conversations with companies who don’t know what this alphabet soup of LGBT is, they think they don’t have any gay employees, this is a really foreign concept. But someone’s willing to get on the phone with me and talk about it for an hour. And it’s really just that willingness to step into the unknown or the uncomfortable, or a place where you feel like you don’t really belong and just being open to learning and feeling empowered that you can operate in that space as a- I’m trying to think of a good way to say this. Because you could know absolutely nothing about what you’re talking about, but the willingness to learn and to take this on as either a pet project or just for those forever learners out there who are just wanting to learn about a different perspective; just showing up is half the game and so having those hard conversations, having uncomfortable conversations, making a difficult ask, making an unexpected ask. I think that is really the thing that shines true throughout all of this work. Tossing aside the stereotypes you think about your colleagues, your workplace, and just making the ask, showing up, just doing it anyway because you never know what the result is going to be. That’s really good information. And I think that that’s kind of at the grassroots level of how a movement begins, and how it continues to move forward. Very good information. 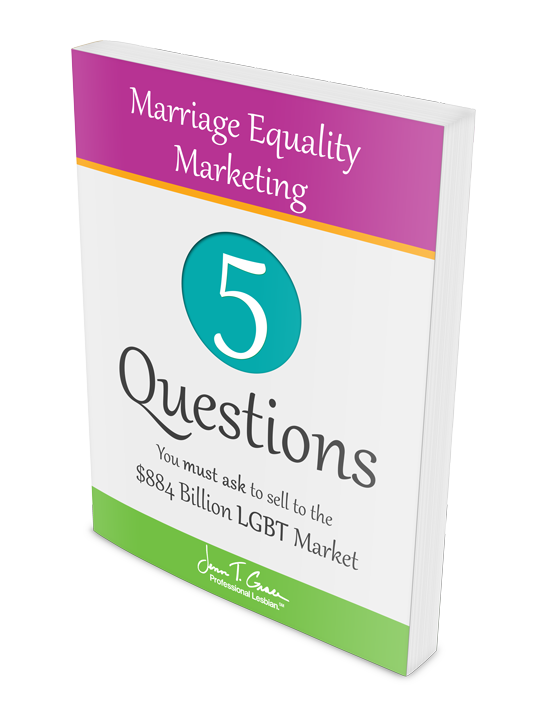 So my next question is along similar lines I think, and that is for the listeners who are listening to this right now, I have two primary audiences and one is the LGBT business owner. And the second is the business professional or business owner who’s an ally to the community. And they’re really listening to this to find out how they can market themselves to the LGBT community. So for somebody who’s listening to this and wants to do that, what type of advice would you give them that you feel would help them be successful? Sure, so I would start and the CEI runs through my veins now. So I can’t help but start that. Any kind of marketing or engagement with the LGBT community has to be authentic. You can’t just put a rainbow flag in your storefront and say, ‘Oh yeah we have gay employees here, everyone’s fine, and it’s a really welcoming place.’ That’s great that that attitude might exist, but you need to be sure the back of house matches the front of house. And by that I mean you need to have a foundation of equality, an established foundation. Do you have an inclusive non-discrimination policy? Do you have inclusive benefits? Are you actively reaching out to the community? 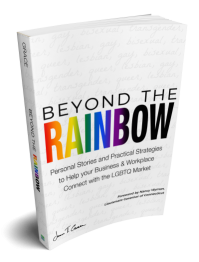 Are you being sure that all of your employees are on the same page about your values and expectations of how you include and engage all of your employees; LGBT and other categories in diversity.  So I think starting with that building block, just being sure- I mean we work with companies that have phenomenal reputations within the community for being LGBT friendly, that we’ve never worked with before. And it’s kind of an easier jumping off point because they’re open and accepting and ready to learn more, but they might not have the inclusive non-discrimination policy. Something as basic as that, which I mean folks that I talk to are still amazed, it happens weekly, that there are no federal workplace protections. It is perfectly legal to fire someone in Texas for being gay, unless their company has an inclusive non-discrimination policy. So it’s no small issue, it really is significant. So I’d say first and foremost, being sure that those inclusive policies, practices, are on the books is the first thing. And not really bubbles up this authentic engagement. You know, trying to align your own business values, or your products, in a way that meaningfully reaches out to the community. It’s not just you’re selling rainbow flags with your logo on it as well. I think really trying to tap into the unique strengths that this inclusion brings, this authentic engagement with your employees really produces this authentic engagement with the broader community. That is such perfect advice, and it’s information that I’ve been known to tell people on this podcast already. Just because of the mere fact that you can’t just take a bunch of money and throw it at the community and then not do anything behind the scenes to support that. And I just actually turned down business last week because somebody came at it from that angle, and to me it’s like I’m not going to put my reputation on the line because you’re going to go about it in this really inauthentic way. And at the end of the day, tear my reputation down with you because you have $100,000 that you want to do an ad campaign for. Like yeah, that’s all well and good but what about your non-discrimination clauses? What do those say? And when you can’t answer that question, then that’s not good and I love to support companies who are interested in doing it for the right reasons. But if they’re not, they’re not going to find that much success in the community. Exactly, and they have to have a leg to stand on as well, you know? Why did you go forward with that ad campaign? They need to have a real reason other than, ‘Well it would make us a lot of money, it would sell us more X Y and Z.’ I think especially for this community, having that authentic engagement to show that this company is not only reaching out to them but that has their back essentially is crucial. Absolutely. My newest first question that I ask everybody who wants to engage with me is, ‘What is your why?’ And if you cannot articulate the ‘why’ in a genuine and authentic way, then we should probably not even continue the conversation. Because you really just have to know your ‘why’ and it could be as simple as, ‘I have a gay sister.’ Or ‘I have somebody in my family is LGBT and I’ve see the inequality and I don’t want that to happen in my workplace.’ That is a perfect ‘why,’ and that’s something that you can build a story around. So if you don’t really have one, it’s just because, ‘Oh the gays have a lot of money.’ Like, come on. Which I’ve heard people say in that same phrase. It’s good stuff.So as an ally to the community, have you found that working for an LGBT organization, you’ve actually been able to leverage your status as an ally? 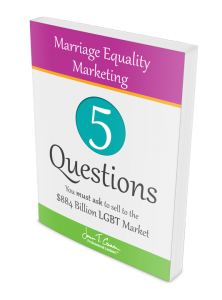 Typically I ask this question from the standpoint of being an LGBT business person, and being able to leverage status that way. But in this case it’s reverse and I’m curious to know if there’s been any benefit to that. That is such a good way of framing being an ally. And since I am part of the LGBT community I hadn’t really thought of it in that perspective. But I do think about quite frequently is the fact that allies are the ones that are really helping move the movement forward. And it’s refreshing to hear you say if somebody assumes that you’re LGBT, or doesn’t assume that, that to you that’s not defining. And I think that that’s such a great quality of an ally and I’m sure there are so many allies that do possess that same quality; so I applaud you for being such a great ally to the community. Oh well thanks. You know, it’s in my blood; I wouldn’t know anything else. So the next question kind of skips off track here, and it’s around a business book or maybe a program, or some sort of tool that’s just really helped you in the way that you go about business. Sure. I mean, this might sound pretty lame, but a good PowerPoint can go a long way. And I’ve learned that in doing this work, no issue is too big or too small to have a PowerPoint deck to make the business case. So being able to boil down a complicated or very straightforward issue. You know, whether it be transgender inclusive healthcare benefits, or adding sexual orientation to your non-discrimination policy. The value of a well thought out, well presented PowerPoint deck can’t be minimized. For a lot of things, even a company that their values are in the right place, there’s support from management, they’re ready to go; still having a really concrete business case about why you’re doing this, goes a long way. Aside from just doing the right thing, which we hear that refrain over and over which is great and we want folks to be there, but it’s also for the naysayers; the folks who think that this really has nothing to do with the workplace, nothing to do with the bottom line. To be able to concretely point to stats or research about how this does affect their business at the end of the day, is incredibly valuable. And I feel like my brain sort of operates in this business case mentality with PowerPoint as the outlet at this point. So I would say it’s pretty basic but always going back to that. Not necessarily saying, ‘Well this is the right thing, we should be doing it, my son is gay, why aren’t we doing more?’ If you frame it within the language of business, within the values of the business, it goes much, much further. That’s excellent advice and as you’re saying, making the business case is not necessarily the easiest path, but certainly the most effective path. Excellent. So I have one more question and then we will say goodbye. And that question is, what is one thing in your business, workplace, life, right now that’s just really exciting for you? Well for me, I’ve been lucky enough in my day job, aside from working on the CEI and buyer’s guide, is really engaging companies on the legislative front. So in marriage states, for federal marriage with the Supreme Court cases, with state efforts, non-discrimination legislation that’s working through whatever state across the US. It has been so great to see business step out of their four walls and into this public space. You know, they’re moving beyond what is important for my employees when they walk in the door in the morning; but how are they feeling when they’re driving home at night? And that really depends on what state you live in, what country you live in, where you are in the US because unfortunately there is a very- we live in a patchwork. The LGBT community lives in a patchwork which you know all too well. And so to be able to work with companies- and this is kind of more on their turf. You know their government affairs folks, their legal teams; they’ve stepped in on legislative issues for other issues in the past. And to be able to meet them halfway on these issues has been really exciting for me personally, you know in that second phase of my life as being a student of political science. So it’s kind of a getting back to basics for me, and it’s been really encouraging to see in just the three years that I’ve been at HRC, the almost overwhelming willingness and eagerness for companies to step into this space to want to do more, and to go on record for equality in a very public way, has been really, really encouraging and exciting. You know it goes beyond just protecting that employee, it goes to protecting that employee’s family, that employee’s friends. It really just grows that circle and that footprint that the company’s having which has been remarkable and has been such, such an exciting piece of my work that I’ve just- it’s been a pleasure to engage businesses on. That is totally awesome, and I feel like we really have hit some sort of tipping point in terms of marriage equality, because it seems that state by state by state is starting to bring this up to the forefront because the residents of those states are demanding that this be talked about. So it’s great to see that everything is starting to shift. And I’m sure we still have quite a long way to go in terms of full equality, but at least it’s really starting to sway in the right direction which is great to see, and of course it’s great to know that you at the HRC are working on making that happen as well. Yeah, it’s been very exciting and I really do- again my corniness coming out I really do see it as an honor to be able to working on this project at this particular point in time. So it’s great and I’m glad so many folks are interested about it and to have opportunities like this to share more. Absolutely. So thank you so much, I’m sure you are super busy so I appreciate you taking the time out of your day to chat with us. But before I do let you go I want to make sure that you give yourself a good plug in here, so you can let everyone know where they can find you, the CEI, the HRC, the whole gamut. Of course. So when in doubt, always go to www.HRC.org/CEI. You will find everything under the sun there, probably more than you ever wanted to know about the Corporate Equality Index. And then the companion piece, www.HRC.org/buyersguide. So those two are really- use them often, spread them around, bookmark them, share them. Those are really- that’s where all the wealth of information is and that’s where we want folks to learn more, be surprised or encouraged by what they find, and share it with co-workers, colleagues, family and friends. Thank you again. I appreciate talking with you and we will chat soon. ← Lesbian, gay, bisexual and transgender visibility for ALL at the Golden Globes.